It feels like forever since I last blogged, but it appears that life is getting in the way a little bit right now! It all started last Thursday when I was invited to Birmingham Airport to take a look at the refurbished World Duty Free Beauty Hall. Since then I’ve been non-stop with things to keep me busy and away from my beloved blog! 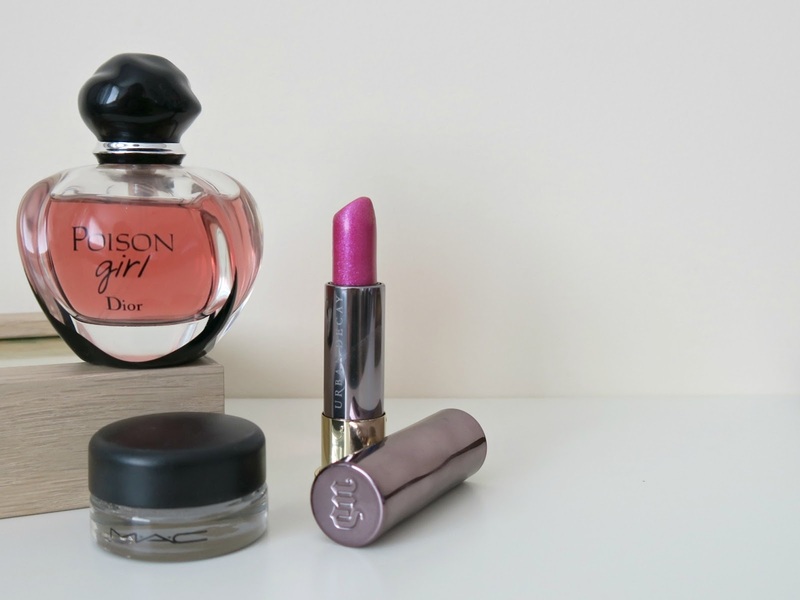 Whilst at World Duty Free, we had some mini sessions with Jo Malone, Urban Decay and YouTube Make Up Artist Harry Makes It Up; which was followed by an extremely generous shopping spree. Were treated to some vouchers and let loose around the amazing beauty hall, which included every brand you could dream of from YSL to MAC. Of course, I picked up the essentials with my vouchers, which included a plethora of beauty treats. This trio appears to be my most reached for parts of the haul, so what better way to show my appreciation for them than in a dedicated blog post? Dior Poison Girl Perfume: I remember first smelling Dior Poison as a child and thinking that’s what all old women must smell like. Turns out they don’t. But it’s always stayed with me. After telling myself I wouldn’t buy any perfumes because I have enough, I just had to get this one after the lady sprayed some on a card for me. I couldn’t stop thinking about it after that first sniff!! It’s a lovely, rounded scent that reminds me of YSL Black Opium but with a kind of marzipan undertone. Described as a bitter-sweet floral scent, it’s quickly become my every day spritz. As you can see from how much I’ve used in just over a week – I’m addicted to the smell! Urban Decay VICE Lipstick in Big Bang: I think Urban Decay used to do Big Bang in a pencil form, and I remember when I swatched that in store I decided I needed it. I held off though and that turned out to be a great plan, as it’s now in a beautiful bullet form. This lipstick actually isn’t as daring as you’d imagine for a bright pink sparkle filled shade as when applied, the high shine seems to make the colour a little less bold. Even if it’s not your thing to wear, it’s am absolute dream just to look at. 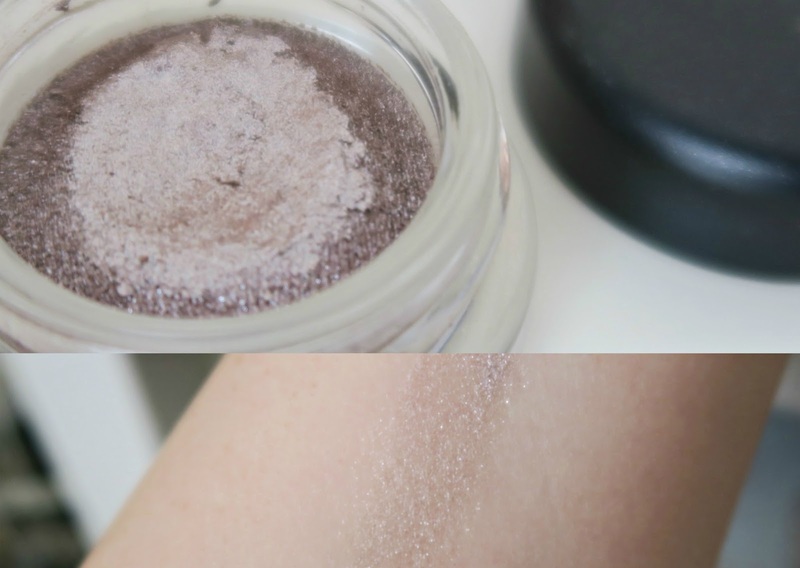 MAC Soft Serve Eyeshadow in Bounce Around: So I’ve gone from owning no MAC products to owning two in one go (which is now unfortunately one after loosing the lipstick, so upsetting). I was after a new glittery eyeshadow for a while and was so torn between this and one of the eyeshadow sets. I went for this though as it’s definitely nothing like anything I own already! This bouncy feeling cream formula is so easy to apply and I literally just dab my finger in to the pot and pat it over my eyeshadow. I’ve tried it on a few colours and the muted grey shade works a dream with them all so far. I use it most days to add a touch of sparkle to my day. I’ve used this every day since I got it and as you can see I’ve barely made a dent in the top. It’s also a really good alternative to using messing loose glitters within your make up, as there’s no fall out no matter how much you pack it on. Being really easy to remove as well, with no mess, I’m just deciding which colour to get next! It doesn’t photograph too well in the swatches, but believe me, this stuff shines. Thank you so much World Duty Free for such a lovely event and overly generous treats. I got a few more bits and bobs that I’ve featured a few times over on Instagram and will no doubt be coming to the blog soon.